Acucraft partnered with the Architecture + Design, Carlson Restaurants team to develop a gas fire pit for their TGIF restaurant chain. Acucraft enjoys working with customers to co-design unique fire features. The architects came to us asking for a 4′ long custom burner, assuming they would need to provide everything else. Their initial plans, as well as their TGIF concept store, can be seen below. 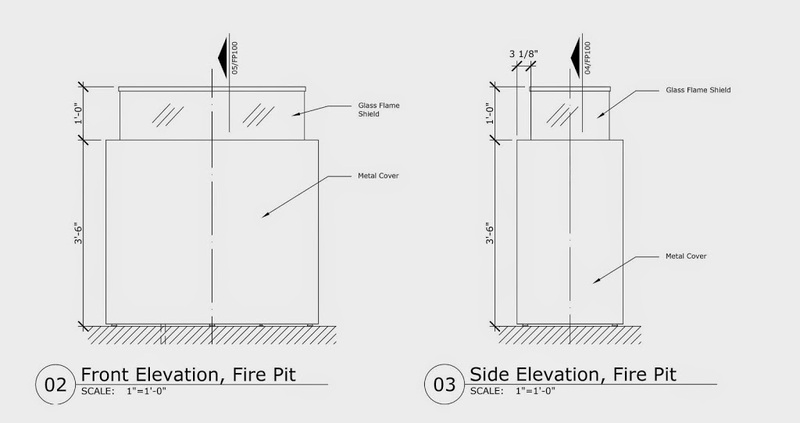 We shared with the architects that we could provide the custom burner with ignition system or we could provide them with a complete gas fire pit. Rather than having 5-6 different groups working on small parts, Acucraft Fireplaces was able to design, manufacture, and deliver a complete fire pit. 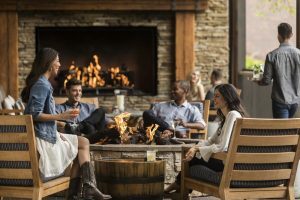 Carlson selected Acucraft to provide the complete gas fire pit to achieve a consistent look worldwide and to greatly reduce the number of trades involved. This decision simplified the process, sped up delivery time, and decreased cost significantly. After reviewing the architects’ initial drawings and concept store, Acucraft presented multiple design options. At Acucraft Fireplaces, we work directly with the customer. We take the time to understand your concept and initial idea, a critical step in any design project. Our design process is one of discussion, a conversation with our customers, that takes your initial idea and evolves it into a unique, safe, and beautiful fire feature. 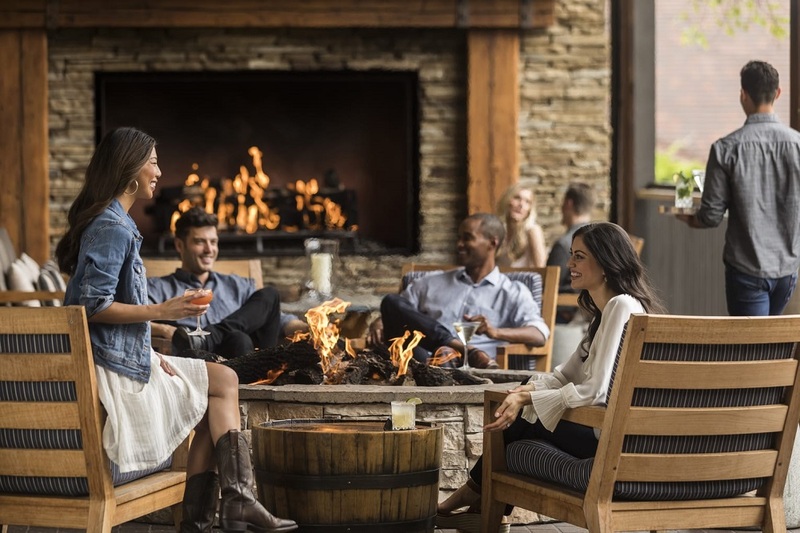 The fire pit Acucraft has developed for TGI Friday’s is being installed in restaurants around the country, where store managers are already seeing “50% more walk-in traffic when the fire pits are burning”. Acucraft test burns every fire pit and fireplace before being shipped to the customer. The two fire pits below (right) just entered testing today and will then be on their way to Texas. Contact Acucraft today if you would like to learn more about our Outdoor Fire products. Special thanks to the Architecture + Design, Carlson Restaurants Team.